Online talk show on the mind-body problem and other topics for Bloggingheads.tv. 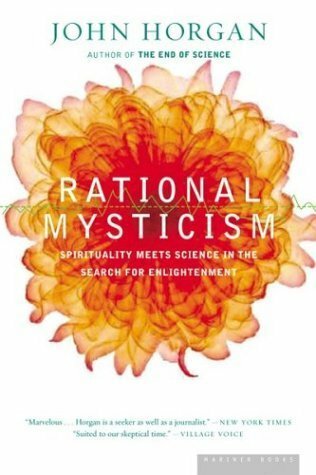 Mind-Body Problems: Science, Subjectivity and Who We Really Are. Published online Fall 2018. 2015 edition, with new preface. 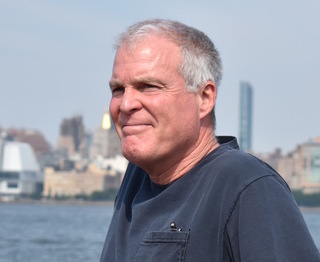 John Horgan is a science journalist and Director of the Center for Science Writings at Stevens Institute of Technology, Hoboken, New Jersey. A former senior writer at Scientific American (1986-1997), he has also written for The New York Times, National Geographic, Time, Newsweek, The Washington Post, Slate and other publications. He writes the "Cross-check" blog for Scientific American and produces "Mind-Body Problems" for the online talk show Bloggingheads.tv. He tweets as @horganism. 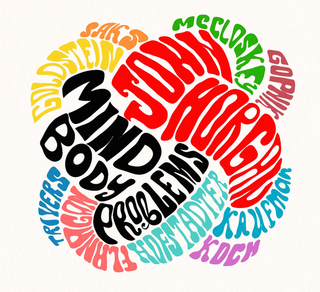 Horgan's most recent book, Mind-Body Problems: Science, Subjectivity and Who We Really Are, takes a radical new approach to the deepest and oldest of all mysteries, the mind-body problem. Published in September 2018, it is available for free online at mindbodyproblems.com, for $5 as an Amazon e-book and for $15 as a paperback. 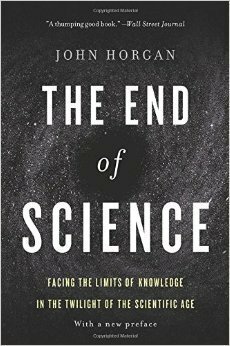 Horgan's first book was The End of Science: Facing the Limits of Science in the Twilight of the Scientific Age, which was republished with a new preface in 2015 by Basic Books. Originally published in 1996, it became a U.S. bestseller and was translated into 13 languages. 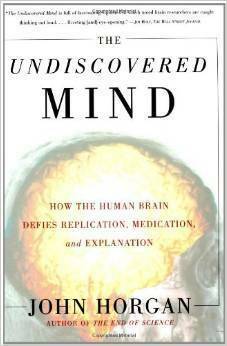 Horgan's other books include The Undiscovered Mind: How the Human Brain Defies Replication, Medication, and Explanation, 1999, translated into eight languages; Rational Mysticism: Spirituality Meets Science in the Search for Enlightenment, 2003, which The New York Times called "marvelous" (see outtakes from the book posted on this site); and The End of War, published in paperback in 2014, which novelist Nicholson Baker described as "thoughtful, unflappable, closely argued." Horgan's publications have received international coverage. He has been interviewed hundreds of times for print, radio, and television media, including The Lehrer News Hour, Charlie Rose, and National Public Radio's Science Friday. He has lectured at dozens of institutions in North America and Europe, including MIT, Caltech, Princeton, Dartmouth, McGill, the University of Amsterdam, and England's National Physical Laboratory. His awards include the 2005 Templeton-Cambridge Journalism Fellowship in Science and Religion; the American Psychiatric Association Certificate of Commendation for Outstanding Reporting on Psychiatric Issues (1997); the Science Journalism Award of the American Association for the Advancement of Science (1992 and 1994); and the National Association of Science Writers Science-in-Society Award (1993). His articles have been selected for the anthologies The Best American Science and Nature Writing and The Best American Science Writing. Horgan was an associate editor at IEEE Spectrum, the journal of the Institute of Electrical and Electronics Engineers, from 1983 to 1986. He received a B.A. in English from Columbia University's School of General Studies in 1982 and an M.S. from Columbia's School of Journalism in 1983. If you discover broken links or any other problems with this site, please notify Horgan at jhorgan@highlands.com.